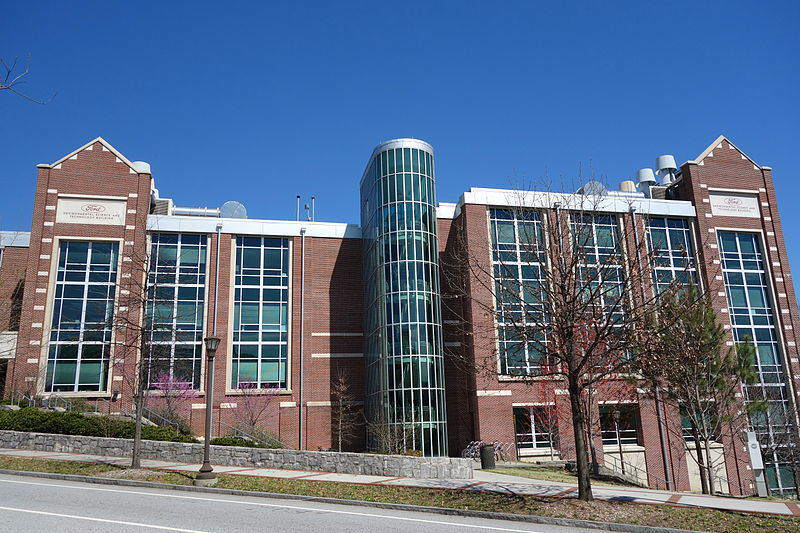 Consistently ranked as one of the top universities in the US and the world, Georgia Institute of Technology is also listed as the smartest public college in the US. Around 20% of students are from overseas and their ”Women in Engineering” program has encouraged many more female students to enrol in recent years. Georgia Tech alumni are known as ‘Yellow Jackets’ and Jimmy Carter, former President of the United States, is counted among them along with the fictitious George P. Burdell, who was officially enrolled in 1927 as a practical joke and has since served in the military, gotten married, and featured on Mad Magazine’s Board of Directors. He is now a campus icon. Once you’re enrolled in Georgia Tech, you’ll have the choice to live in one of the residence halls on campus. The rooms are two, three, and four-person rooms and will give you the chance to get to know your fellow students. You’ll have easy access to all the facilities on campus, such as the library and computers, and you can enjoy all the social events taking place nearby. It’s one of the best ways to completely immerse yourself in student life and all your meals will be catered for. Georgia Tech is located in Midtown, Downtown Atlanta, and with plenty of bus and railways routes, renting an apartment off-campus can be a convenient, cheaper, and more exciting option than living on campus, especially if you’ve finished your freshman year. The most popular areas for renting off campus accommodation are Midtown, Westside, and Atlantic Static, which are all within easy reach of the tech. If you’re searching for an apartment, check if there is furniture included, as apartments in the US often come with little or no furniture. You can search the Off-Campus Housing Directory for available rentals. An even cheaper option than renting an apartment is to stay in a private residence in the area with a family. They’ll cook you a set number of meals per day, and utilities and laundry facilities will be included in the monthly price. It’s also a great way to get to know the locals and visit places that you otherwise might miss. If English isn’t your first language, then living in a homestay will hugely benefit your language skills. Try searching markshomestay.com for suitable host families near Georgia Tech. Georgia Tech is well served by the Campus Transit service that can be used for free by students, alumni, staff, and parents. Stinger buses serve different parts of campus Monday to Friday and are available all year round, except Institute holidays. Click here for a map. The Tech Trolley will pick you up from the midtown MARTA station and you can find full timetables and maps here. Atlanta is well served by the Metropolitan Area Rapid Transit Authority (MARTA) buses and trains which cover most areas. The easiest way to plan your trip is to make use of the Trip Planner function on the MARTA website. If you don’t want to invest in a car that you’ll eventually have to sell, you might want to use Zipcar instead. When you join Zipcar, you’ll get access to cars all around campus, so you simply pick one up and leave it at a designated point on campus when you’re done! Georgia Tech offers tons of options for campus dining, including award-winning restaurants, food trucks, and shops selling everything from pizzas to fresh, local cuisine. As a first year student, you have the option to choose from a variety of Freshman Meal Plans which will give you access to the community restaurants and a set number of meals per week. They aren’t always the cheapest, but offer a convenient way to access healthy food without having to cook. You won’t be at a loss to find good places to eat near Georgia Tech. The city of Atlanta is in love with Southern food, so you’ll find no shortage of places serving authentic Jamaican Jerk Chicken, such as Eats on Ponce de Leon Ave.
For cheap yet tasty Mexican food, try Tacqueria Del Sol, or if your parents come to visit, you might like to try something a little bit more upscale and immerse yourself in the five-course tasting menu at Restaurant Eugene on Peachtree Rd. The West Side Market on campus sells groceries including fresh vegetables, meat, and other items during the week. Alternatively, you can take a 30 min walk or 8 min bus-ride to Kroger on Ponce De Leon where you’ll also find an excellent sushi bar. You can also shop at one of the Publix Supermarkets, where staff are known to be friendly and will help you find what you’re looking for. The Stinger Buses run a shuttle service to and from the Publix grocery store on weekends and will drop you back on campus. Heading to the US to study? Then download our free guide for international students, with everything you need to know about becoming a student in the US. 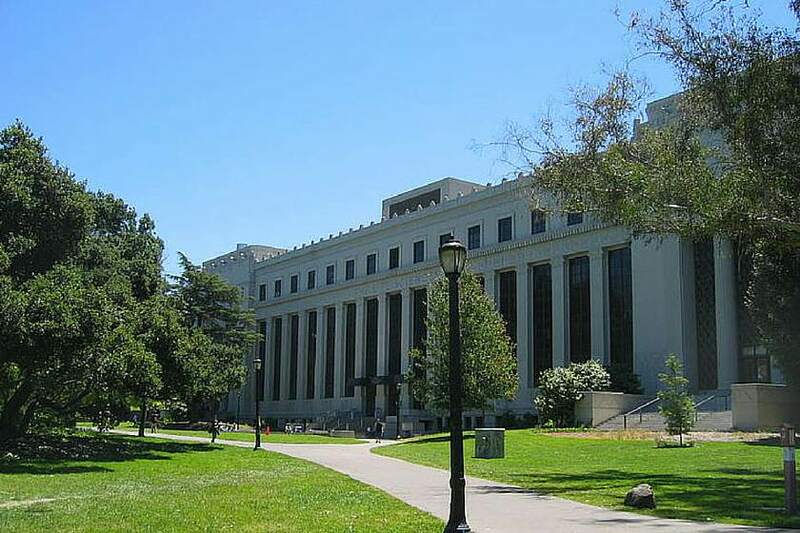 The oldest campus in the University of California system, The University of California, Berkeley, is situated in the city of Berkeley on the east coast of San Francisco Bay, California. This prestigious university is ranked number four in the world by the Academic Work Ranking of World Universities and is renowned for its experts in mathematics and science. Scientists at Berkeley University California have discovered 16 chemical elements in total, more than any other university in the world. There are plenty of campus housing options on offer at Berkeley, including traditional residence halls, suite apartments, and even theme houses that offer accommodation with a particular academic focus. You can find out more here on campus housing options. You don’t have to stay on campus if you don’t choose to; Berkeley offers a wide selection of rental accommodation you can search for on Cal Rentals. You’ll find listings for apartments or you can search for roommates on the site. The website also has a comprehensive list of safety tips, so you won’t unwittingly get scammed out of your rental deposit! If you have a family, are married, or are a single parent, Berkeley offers family student accommodation in its University Village. It’s situated on a 58 acre complex with one, two, and three bedroom apartments and townhouses. It’s just 3.5 miles from campus and has its own child center, recreational center, café, and laundry rooms. If you’re a first year student looking for accommodation, then you should start your search here. Students are encouraged to use public transport to get to Berkeley due to the lack of parking spaces on campus. One of the most common ways to get into the university from the surrounding areas is the Bay Area Rapid Transit (BART) train system that operates from Richmond, Fremont, Bay Point/Concord, and San Francisco/Daly City. The BART will drop you at Downtown Berkeley Station one block from the west side of the campus. You can purchase student discount rail tickets from the Parking and Transportation Office. The AC Transit buses, serving Alameda County, let you use your Class Pass, which you’ll get once you’re registered as a student and enrolled on your course. You can also use your Class Pass on the Bear Transit shuttle buses that will take you all around campus. The university provides shuttle buses at night also so you can get home safely after-hours. There are bicycle paths and stands all over campus so it’s likely one of the easiest and cheapest ways to get around. It’s pretty secure too, with over 120 parking spaces for bicycles at four secure, covered locations. These facilities are only accessible by entering a secure access code, so you won’t have to worry about your bike getting stolen. Student-run organization, BicyCAL, runs events throughout the year and the bicycle co-operative will also help you with parts and maintenance. Berkeley offers a wide range of dining options on campus with everything from sushi and sandwiches to vegetarian and vegan. Even if you have an allergy or require a special diet, Berkeley will take care of you. It features in the top 20 best colleges in the US for food and the staff are passionate about healthy eating and sustainability. Any student can buy a meal plan, entitling you to a set number of meals on campus throughout the year. There are lots of great low cost food joints in Berkeley. For a cheap and cheerful breakfast, try Café Durant’s combo plates, full of tasty goodness that won’t break your budget. Au Coquelet is popular with students for its coffee and weekend brunch menu, and for cheap Asian food, try Wat Mongkolratanaram, an authentic little Thai gem where you’ll get huge portions. As well as the standard superstores like Trader Joe’s and Safeway, Berkeley has many local, independent stores and markets where you can find fresh, cheap produce. You’ll find some unique items in Berkeley’s Natural Grocery Co and you can get great discounts when you collect coupons for Monterey Market. Going to Berkeley? Download our free guide to the US for International Students. Thinking of heading to California’s oldest private research university to study? The University of Southern California was established in 1880 and counts Frank Gehry, Will Ferrell, and George Lucas among its alumni. The student body also has one of the highest proportions of international students in the US, who like to take advantage of the beautiful grounds, excellent facilities, and California sunshine. The Metro Expo Line is a light rail line with three stations in and around the USC campus, including the Jefferson/USC station, Expo Park/USC station, and Vermont/Expo station. The line operates from 5am to 12:30am on weekdays and up to 2am Fridays and Saturdays. The line will also be extended in 2016 to service between Culver City and Santa Monica. 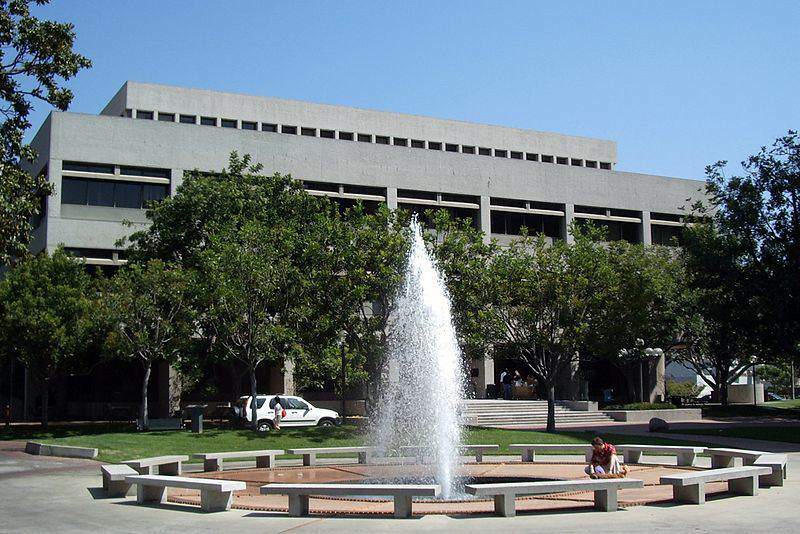 Getting the bus is a convenient option, and the Los Angeles Department of Transportation runs the DASH and Commuter Express bus lines around the perimeter of the USC campus as a cheap and easy way to get about downtown. A hugely popular form of transport for students, especially for those living on campus, is riding a bike. Bikes are allowed everywhere outdoors on the USC campus and you’ll find bike stands and bike-friendly paths everywhere. You can pick up a bicycle at the University Store Village or Lion’s Bike Shop at 29th Street and Vermont. Don’t forget to always lock your bike! Travelling by car is by far the most popular transport option for the population of Southern California. To save money, many students opt to carpool with other USC students using services like Zimride, a private ride-sharing network for students and staff. Another alternative to buying a car is to rent a Zipcar, with membership for students at only $35 per year. The cars are available right on campus and you can easily reserve them online. Once you’re formally admitted to the university, you can then apply online for housing on the campus. The university has more than 40 facilities, including apartments, residential colleges, residence halls, and apartments. Although living on campus isn’t compulsory, almost all first year students do so for at least their first two years. Living on campus lets you take advantage of all the facilities close by, such as the recreation center and the library. If you want to live off campus, then you’re in luck, because USC has partnered with Off-Campus Housing to provide you with apartment listings in the area. The site lets you search for apartments as well as potential roommates. You’ll also get information about the rental system, safety tips, and other tools and resources to aid your search. Living off campus could work out cheaper and give you more freedom than staying in a residence hall at the college. When you first arrive in the US, you may have to stay in temporary accommodation while you organize more permanent housing. The housing office at USC may be able to provide you with temporary housing; alternatively, you can stay in one of the hotels or motels situated near the main campus. You can search USC’s website for listing in the area here. Save yourself the cost of transport by eating on campus. Meal plans can work out expensive but they offer the convenience of eating at the traditional dining halls within the campus. USC also has plenty of restaurants, diners, and cafés where you can grab a bite, with everything from fine dining to casual service restaurants. The Lab Gastropub located within USC’s campus won’t break your budget and if you’re old enough, you can grab a beer for $4 at happy hour. If you’re a fan of pizza, then you can pick up a pie for as little as $6 at The Pizza Studio on S Figueroa St. For a cheap lunch or an iced coffee, you can pop into Urbnmrkt and create your own sandwich or grab a burger for $6. USC hosts a farmer’s market most Wednesdays on campus from 11am-3pm where you’ll find organic fruit and vegetables, as well as hot food. You can also join a collaborative that promotes local community-supported farming and have fresh organic produce delivered weekly as part of your share. Ralph’s downtown is a supermarket that’s part of a large chain of stores, so expect what you’ll typically find in a US grocery store. The free shuttle bus to and from campus is also a nice touch and the reason you’ll find lots of students shopping there. There are also plenty of Trader Joe’s in the area where you’ll find a large selection of fresh and convenience foods. Heading to the US to study? Download our free helpful guide for international students in the US below. Yale University in New Haven, Connecticut, has graduated five US presidents, 52 Nobel Laureates, and hundreds of high level US diplomats, including former US Secretary of State Hilary Clinton and current Secretary of State, John Kerry. Yale is a private Ivy-League University and the third oldest institute of higher learning in the US. 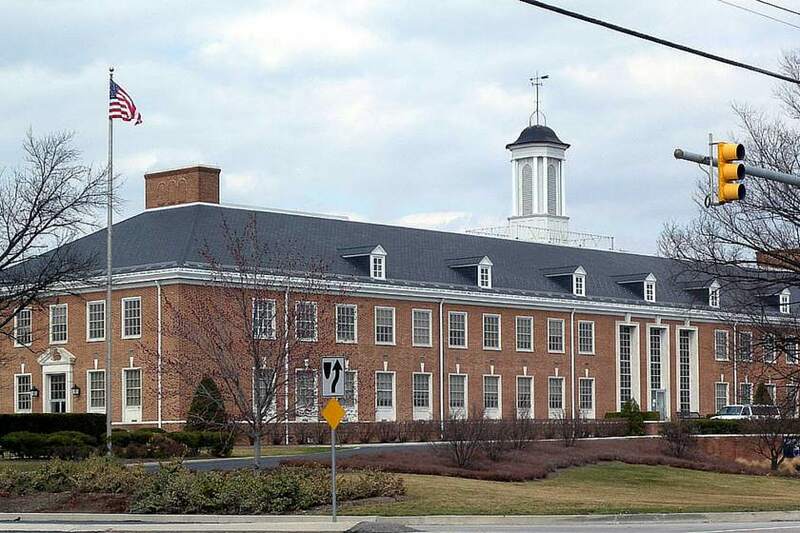 It was founded in 1701 in Saybrook Colony and renamed Yale College in 1718 in recognition of a gift from Elihu Yale, Governor of the British East India Company at the time. 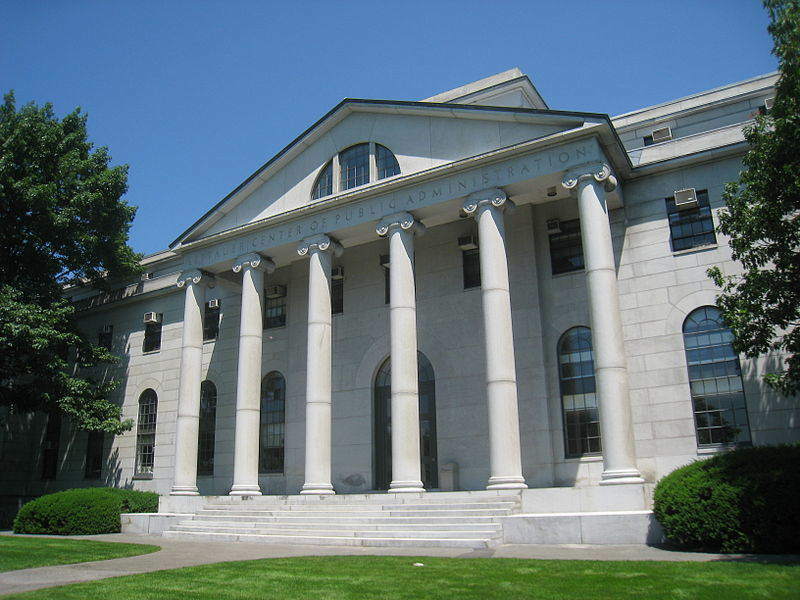 It has over 12 constituent schools, including the original undergraduate college, the Yale Graduate School of Arts and Sciences, and ten professional schools. New Haven is a small city of 130,000 residents two and a half hours south of Boston and is easily accessible by train, bus, car, and airplane. Union Station is minutes from Yale and the regular Metro North will take you between New York and New Haven. Amtrak runs from New Haven to Vermont, Providence, and Boston. Search Metro-North and Amtrak for information on ticket prices and discount passes. You can hop on a Greyhound or Peter Pan bus out of New Haven at Union Station. Yale also provides shuttle transport for students all year round, except for holidays, and the service is free. Buses are reasonably priced and offer student discounts. Search for routes here. If you want to use a bicycle, there are several places where you’ll find shared bicycles on campus. The university has partnered with Zagster, a bike-sharing scheme, so you don’t have to worry about buying a bike when you get there. It’s easy to navigate Yale on a bike and you won’t have to worry about parking. A Bike-to-Work-Breakfast event takes place every third Friday of the month where cyclists get the chance to meet, have coffee, and enjoy breakfast with other cyclists. Find out more here. 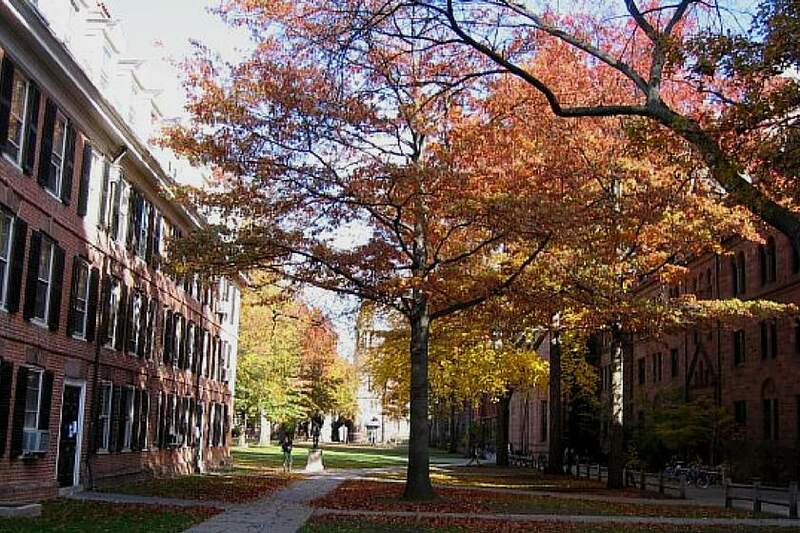 Most freshmen live at Yale’s Old Campus, which is made up of 14 buildings, including eight dormitories, two chapels, and a four-acre courtyard. Before you start your freshman year, you’ll be assigned to one of Yale’s twelve residential colleges and be affiliated with this college for the next four years. Once you become a sophomore, you’ll be moved into your designated college. Home to Yale University for nearly three centuries, New Haven is a busy center for business and arts and a great place to live and work. Freshmen mainly live on campus, but many graduates choose to live in the city. You can start your search for apartments in New Haven by looking at Yale University’s affiliated website listings on Elm Campus Partners and OffCampusLiving. Both websites have authenticated student reviews. There are a number of hotels close to campus where you can stay and many are listed on Yale’s website here. You are free to drop into the Yale Visitor Center to find out more information about Yale and get a guided tour of the campus. Foreign language and private tours are also available by appointment. If you’re not sure about Yale, but are considering applying, this is a great way to get to know the university! Yale serves a wide selection of food on campus at its various dining halls for students and the style is all-you-care-to-eat. As an undergraduate, you can choose from a number of meal plans to suit your budget. You can use these meal plans at a variety of restaurants and café across campus. For more information, check out their website here. New Haven offers plenty of choice when it comes to cafés and restaurants, and there are a number of places that won’t hurt your pocket. For example, Moe’s on Whitney will give you free chips and salsa with any order, and you can grab a burrito at La Conchita for as little as $5. For a cheap bagel or muffin for breakfast, try the Book Trader Café before 10 am or Patricia’s restaurant on Whalley Ave. China King do a great lunch special, and if you like sushi, then Mizu offers an all you can eat special you can share with your friends for $20. You’ll find all the basics, such as meat, fresh veggies, and canned food at Stop & Shop on Whalley Ave, within walking distance of the campus. Elm City Market co-op on Chapel Street will save you a lot of money in the long run, especially if you plan on cooking a lot of your own meals throughout the year. For relatively cheap prices and pre-prepared meals, go to Trader Joe’s on Boston Post Rd. Whole Foods Market on the same road also have a variety of retail stores, serving fresh, healthy produce. Good luck! And don’t forget to download our free guide for international students in the US below. Harvard University is one of the oldest universities in the US and has produced no less than eight US presidents. Situated in Cambridge, Massachusetts, the private Ivy League research university’s history, wealth, and influence make it one of the most prestigious universities in the world. Living on campus at Harvard offers many rewards, including easy access to public and Harvard transportation, free high speed internet, laundry facilities, fitness rooms, and after hour’s emergency care. You’ll find an overview of Harvard housing options on their website. It’s good to research what areas are close to Harvard before you go searching for apartment listings off campus. Members of the Harvard community can research off-campus housing on harvardhousingoffcampus.com. You can also search for potential roommates, but first you must register as an incoming student. If you’re curious about what life is like for an American family and want to brush up on your English, renting a room in a homestay could be the answer! You’ll get fed each day and have access to laundry facilities. The family will also act as your guide should you have any questions. During the academic year, Harvard offers shuttle services through the Cambridge and Allston campuses. MASCO operates Harvard’s medical school shuttle which runs between the Longwood medical area campus and Harvard University campus. Harvard offers students a 50% subsidy on MBTA passes which form Greater Boston’s public transport system. You can order transit passes for this service and private transfer providers once you’re enrolled on a course. Harvard is constantly working to provide a safe, secure campus for bicycles and there are thousands of bike parking spaces, including covered locations where you can secure your bicycle. If you don’t want to purchase a bike, you can join the Hubway Bike Share Program, which has more than 1,300 bikes at 140 stations throughout Boston. Harvard University Dining Services is the oldest collegiate food service in the US and one of the largest, so there will be no lack of choice when it comes to your dinner! As part of the campus dining experience, Harvard offers a single, unlimited meal plan for students with food made from fresh, quality ingredients. They are committed to accommodating people with allergies or special dietary requirements, and students should go to their dining hall manager to discuss their needs. You can explore Harvard’s dining services on their website. There are plenty of great restaurants in Cambridge, including the eclectic and always lively Café Luna on Massachusetts Ave, the excellent Veggie restaurant, Veggie Galaxy and Vegan Bakery, and the upmarket Oleana on Hampshire Street. A great place to start your search is TripAdvisor. If you’re looking for something healthy and organic, try Boston Organics in Harvard square. You can sign up to get a home delivery of fresh produce to your door as often as you like. Market in the Square reputedly sells the best sandwiches and for everything else, you’ll find a Trader Joe’s on Memorial Drive. Good luck! Don’t forget to download our FREE guide below! Originally located on a frontier military outpost in Hays, Kansas, Fort Hays State University was founded in 1902 and is still partly located on a portion of the former military reservation from the fort. The public co-educational university has around 11,200 students attending at the 200 acre campus. The university’s Forsyth library has a large collection of fiction and non-fiction on the American West and frontier life and the Sternberg Museum of Natural History houses interactive natural science exhibitions and over 100,000 square feet of dinosaurs, fossils, and prehistoric animals from over 70-90 million years ago. There are various options for first year students who wish to live on campus, and in your first year at university, this is the easiest and most convenient option as you’ll be close to everything. McMindes Hall provides housing for 620 students in rooms with private pod-style bathrooms and showers, and has an on-campus dining facility. Other options include Stadium Place apartments, Tiger Hall, Wiest Hall, and the family-friendly Wooster Place. You can research all types of campus living here. If you want to live off campus you can search for an apartment in the areas close to the university in the city of Hays. Living off campus grounds could be cheaper and give you a bit more freedom. You can start your search at abodo.com or apartmentguide.com. Living in a homestay can work out a lot cheaper than living on campus and the experience will be helpful to your English language skills. For a monthly fee, you’ll get a set number of meals per day, a private room and bathroom, and access to laundry facilities. It’s also a great way to get to know the American culture. The free Tiger Transport van will take you from Wiest Hall to the Mall and Wal-Mart and back and runs every half hour from 2pm-7pm Wednesday to Friday and 2pm-9pm on Saturday. The campus is small and the city only has 20,000 people so it’s easy enough to get around on foot or on a bicycle. The university provides a shuttle service for a small fee to take you to and from campus. Fort Hays State University has a bike-sharing scheme called ‘’Take a Bike/Leave a Bike’’ where you can use designated bicycles parked at bike racks for free anytime to get around campus. You’ll recognize these bikes as they are painted blue and gold with an orange flyer and basket. All freshmen and sophomores living on campus must participate in a meal plan at Fort Hays State but there are various options to choose from based on your budget and schedule. You can use your meal plan at various locations, including Outtakes Snack bar, Starbucks, the Union Station, McMindes Cafeteria, and Mondo’s Subs. Hays is the cultural center of Kansas and you’ll find plenty of cafés, restaurants, steakhouses, diners, and bars. For a budget-friendly dinner try Gella’s Diner and Lb Brewing Co, where the service is rumored to be excellent, and if you’re over 21, you can grab a nice cold beer from their extensive selection. For coffee enthusiasts, there’s Union Station on Vine Street or for something more substantial, try TK’s Smokehouse for a BBQ or steak. One of the best ways to save cash as a student is to cook your own meals. There is lots of choice when it comes to grocery shopping in Hays, such as Dillon’s Grocery Stores, Schwan’s Food Co and you can take the free Tiger Transport to the large Walmart Store. In 2014, Pennsylvania State University (Penn State) had over 95,000 students enroll at its 24 campuses, making it one of the biggest universities in the US. Founded in 1855, Penn State has two law schools, a College of Medicine, 19 Commonwealth campuses, and five Special Mission campuses. The public research university has an academic record on par with many Ivy-League schools in the US and has been labelled one of the ‘’Public Ivies’’. Every year, Penn State hosts a 46 hour dance marathon to raise funds for children and families affected by pediatric cancer. It has become the largest student-run philanthropy in the world, raising $13,343,517.33 alone in 2014. For first year students at University Park, Penn State, living on campus is mandatory. As a freshman, you’ll be sent to live in either North, South, East, West, or Pollock Halls. Once you accept your offer of admission to Penn State, you are in effect signing a housing contract also, which means you’re obliged to live on campus. Here’s more information. Undergraduate students with families can apply to live in the White Course Apartments in University Park. The park features three-bed townhouses and one and two-bed apartments designed for singles, families, and couples. Among the facilities are a community center and garden, children’s play area, and laundry facilities. Eligible students can submit a lease application to be considered for the apartments. If you’re on a short trip to Penn State or your family wants to pay a visit, there are a number of good hotels close to campus. The Penn State Conference Hotel offers comfortable rooms close to the university with free Wi-Fi, dedicated work spaces, a fitness center, and a free shuttle service. You’ll find a comprehensive list of accommodation near campus here. If you’re a freshman at Penn State, a meal plan is compulsory, and you’ll spend much of your time eating at the campus dining halls. Once you accept your offer, you can log onto their ‘’eliving’’ website to choose your campus meal plan. The dining halls are in the all-you-care-to-eat buffet style but the campus also provides options for casual dining, such as the Blue Chip Bistro, Au Bon Pain, The Nittany Lion Inn, the Penn State Bakery and many more listed here. In the mood for something cheap and vegetarian? Pay a visit to Pita Canaba Café to grab a falafel sandwich or a slice of something authentically Middle Eastern like the Lebanese Chipotle. For cheap, diner-like food, go to Baby’s Burgers and Shakes on S Garner St and stick a song on the jukeboke as you dig into a juicy burger. There are also plenty of Asian restaurants and pizzerias close by, such as Little Szechuan on W College Ave or Faccia Luna Pizzeria on S Atherton St. Check out TripAdvisor or Yelp for a comprehensive list and reviews. There are four major grocery chain-stores located in the State College, including Wegman’s, Trader Joe’s, Weis Markets, and Giant Food Stores. You’ll find a comprehensive list of the big supermarkets here. Eat healthy and support local farmers by shopping at The State College Farmer’s Market that takes place from 11.30am-5.30pm on Tuesdays and Fridays, May to Mid-November. Need some advice on studying in the US? Essential Tips for Studying in the U.S. 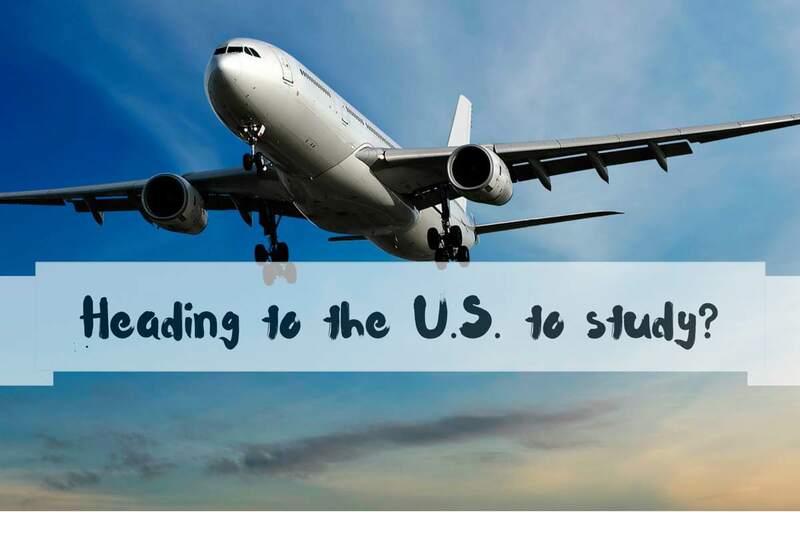 Heading to the U.S. to study? You’re about to embark on an amazing adventure, with big campuses, sunny summer days, and lots of new friends. 1. Most important is, of course – The Passport – a “Must’’ when you plan on studying or travelling abroad. Remember to check the expiry date well in advance of your travel date. 2. Obtain a Visa – before applying for a visa, students must be accepted and approved by their school or program. Once accepted, educational institutions will provide each applicant with the necessary approval documentation to apply for a student visa. You can research what types of US student visas you can apply for here. 3. Health Condition – visit a doctor before you leave to get a clean bill of health. If you need to pack medication, make sure it’s in the original container, clearly labelled, or with a doctor’s prescription. 4. Take care of your Banking Needs – get the latest currency exchange rates from sites like xe.com, and make sure you take enough US Dollars and/or travel checks with you. 5. Airline Tickets – purchase airline tickets early to avoid high airfares, and plan how you’re going to get from the airport to your destination, especially if your flight arrives in at night. 6. International Students ID Card – this could save you a lot of money. The ISIC card is the most internationally recognized student card and will get you discounts on sights, accommodation, shops, transport and more. 7. Make a list of Emergency Contacts – keep a list of emergency contacts and provide them to your roommate, host institution or someone close by, just in case. 8. Make Photocopies of Important Documents – copies of all your essential documents are never useless. Keep copies of your passport, visa, other forms of identification, and important phone numbers and email addresses. 9. Keep in mind the Electrical Voltage System – electrical sockets in the US supply between 110 and 120 volts, so remember that your electrical devices might need voltage converters and adaptors to work. You can even purchase adaptors with in-built voltage converters, which could come in very handy. 10. Housing Options – It’s very risky leaving your country and travelling thousands of miles from home without securing accommodation. Dorms – no doubt your university has dorms and this is the most common and popular housing option for newly admitted students. It’s also the most convenient, as it means living right on campus. Dorms also supply meal plans so you don’t have to worry about organizing your breakfast, lunch or dinner. Off-Campus Housing – it may sound strange, but renting an apartment off campus costs less. You can choose your roommates, the area, and have more control over who you meet and when. Remember, when choosing this option over a dorm, you will have to cover any additional expenses – utilities, transportation, food, etc. 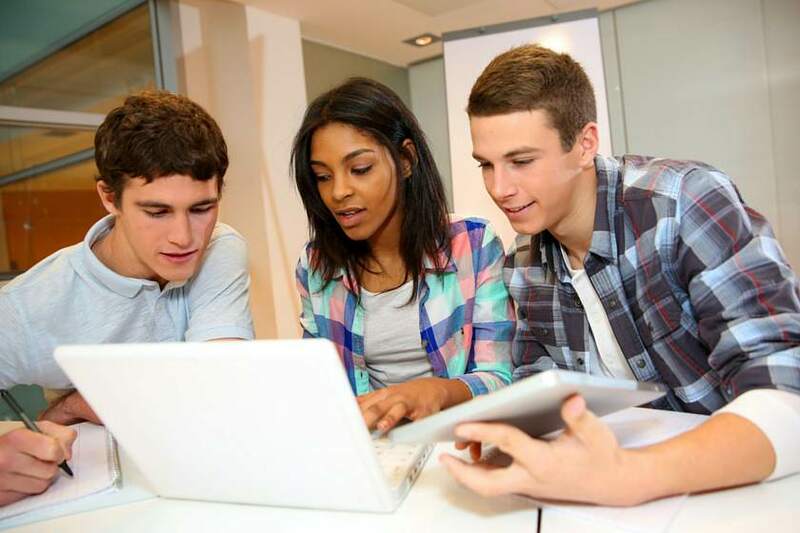 Homestay – this is quickly becoming a popular option among international students. Staying in someone’s home will make it easier to interact with native English speakers and experience their culture more closely. If you need help arranging accommodation, there are Housing Offices at your University you can turn to. You can also contact your International Student Advisor for information regarding on-campus and off-campus housing. In addition, many universities provide resources on housing and apartment rentals on their websites. So far so good! You’ve done everything to make your transition to the US easier, but now what? Firstly, don’t forget to call home – make sure your phone is loaded with enough credit to make a quick call. This will make you feel better and reassure your friends and family. Take a walk – after you’ve settled into your new home take some time to explore your new campus or neighbourhood. Getting some fresh air and exploring your surroundings will help you feel human again after a long trip. Don’t fall asleep – after a long flight you will feel the urge to fall asleep and your body clock will be totally messed up. Try to stay awake ‘till at least 10 or 11 p.m. to beat the jet lag. Lastly, have fun, enjoy US student life, and who knows? You could make some great new friends to last a lifetime. Make your life as a student even easier by signing up to Sprintax for a simple solution to preparing your tax return. Wondering how to spend your IRS tax refund? A big refund might feel like you’ve hit the jackpot, but it’s not always wise to spend it all at once. We’ve given you three awesome ideas for amazing life experiences, but if you’re not the ‘adventurous type’ or don’t feel like spending it all in on go, you might consider a more practical plan for your cash. Firstly, think about your current financial situation and how your tax refund could influence your short and long-term financial needs. 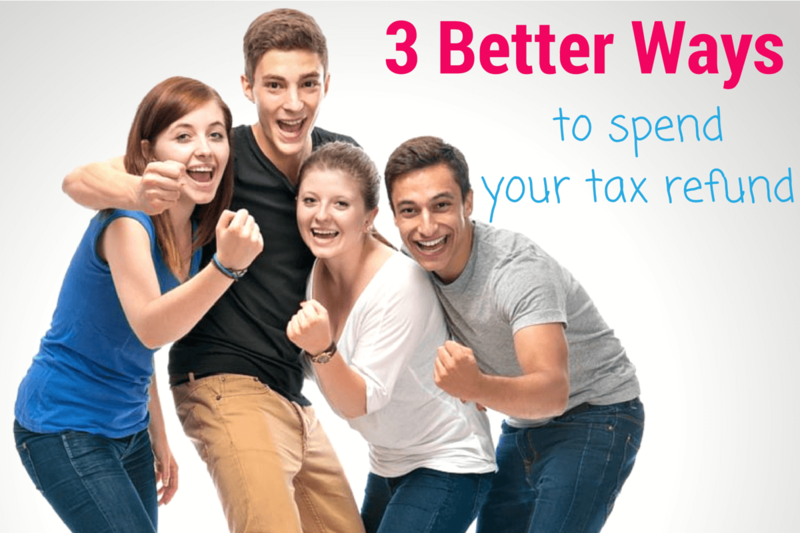 Having a clear plan on how to spend your tax refund can greatly improve your future financial health and help you develop financial management skills. This might be the first and probably smartest idea that comes to the practical mind when it comes to getting a tax refund. And yes, paying off your high-interest credit card debt should be number 1 on your “smart-ways to-spend-your-refund” list. It might not be ‘fun’, but it will be such a relief to start afresh financially and when you finally have the money you need, you should definitely get your debt matters in order. Maybe this idea sounds better suited to someone in their forties? Well, you might think this way until the ‘emergency’ arises and you realize there isn’t a penny left in the piggy bank. Emergencies don’t just happen to people in their forties, and often occur suddenly, so an emergency fund will give you that welcome cushion to land on when you need it. That’s why putting aside part of your tax refund money (not necessary all of it) will prevent you from getting off-guard. Using your tax refund to buy college or university textbooks, to start additional qualifications courses or sign up for an eBook subscription service, is a really smart way to spend it. The price of textbooks is constantly rising and next semester these could burn a hole in your pocket unless you’ve set some money aside. 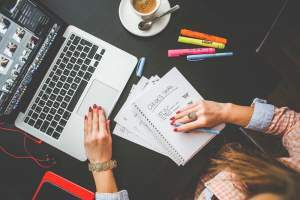 This could save you the usual money troubles you’ll likely encounter at the beginning of the semester and what’s more, will pay you out hundred times in future. 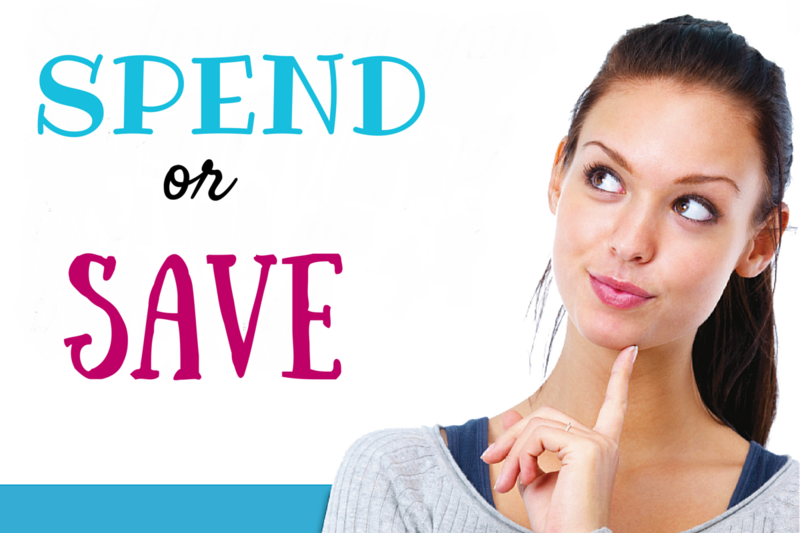 Save or spend your tax refund? The final say is yours. Sprintax can only help you get your refund. Sign up here! The 2015 US tax season is officially over, so if you’ve filed your tax return you’re probably both relieved and eager to see if you’ll get a refund. About 13% of Americans will put their tax refund towards an amazing vacation and 39% will use it to pay down their debts, according to a recent study conducted by the National Retail Federation. Enough with the stats, let’s start with the best part of every tax season – how to spend the money you could get back from the IRS! This year, our advice is to unleash your creativity and do something memorable instead of splashing out on a rainy afternoon. Remember that amazing business idea you promised to develop when you got enough money? Well now is the time! Startups are a huge part of the business world and if this is what you’ve been dreaming of, why not start today? If you’ve got the idea, now you have the budget to make it happen! Get a pen, draft your first business plan, and give your dreams a head start. Nothing pushes you to grow as much as seeing the world. Travelling will open your mind up to new cultures and experiences, so why not try somewhere off the beaten track? If you’re planning on putting your tax refund towards an amazing adventure, we suggest something a little bit different than the well-known tourist destinations. How about a Jungle Safari in Borneo or a Cycle Safari in Tanzania? You could brave an Ocean Exploration course in the deep blue waters of the Caribbean or an overland adventure in West Africa. It sounds incredible, doesn’t it? And if you’re a true explorer and adventurer, you should go on at least one epic trip during your lifetime. Does jumping out of an airplane sound fun? Then extreme sports might be the answer. Adrenalin is sometimes all you need to awaken the power within. What if now is the time to meet “The Brave” in you? Get your tax refund and put it towards a sky diving session, balloon flight or bungee jump. The adrenalin is guaranteed as well as your safety if you rely on a recognized company, so keep this in mind when searching for exciting “on the edge of life” experiences. Whatever you decided to do with your US tax refund, don’t forget Sprintax can help you, not only with great ideas but with filing next year’s return!